So I’m finally back from Alaska. It’s great to be back home, and I’m enjoying having the use of indoor plumbing. It’s very strange what you miss – I loathe doing dishes, but it’s nice to finally have running water available for cleaning plates. I’m pretty pleased with the way my summer research turned out. If you’ve read my previous blogs, you know about the ways I’ve been investigating how gyrfalcons influence Alaskan shrubs by hunting ptarmigan. I don’t think I’ve told you why I’m doing it yet; it’s been a few weeks since I came home and I’ve been somewhat sidetracked. I promise, I’ll reveal everything in the next post. Alternatively, you could just watch the video I made for the UCROSS retreat. It should be posted on the website. Now that I’m back home, most of my time will be spent performing DNA analyses. For my study, I need to figure out what species of ptarmigan the Alaskan gyrfalcon most prefers to consume. There are actually 2 species of ptarmigan: the rock and the willow ptarmigan. If you refer back to my post “The Batman Effect,” you’ll see that gyrfalcon predation can cause alterations in behavior for ptarmigan…but if one species of ptarmigan is preferred as prey, then that changes the entire dynamic! To figure this out, I’m analyzing bone remains that I’ve collected from the nests of gyrfalcons around the Seward Peninsula. 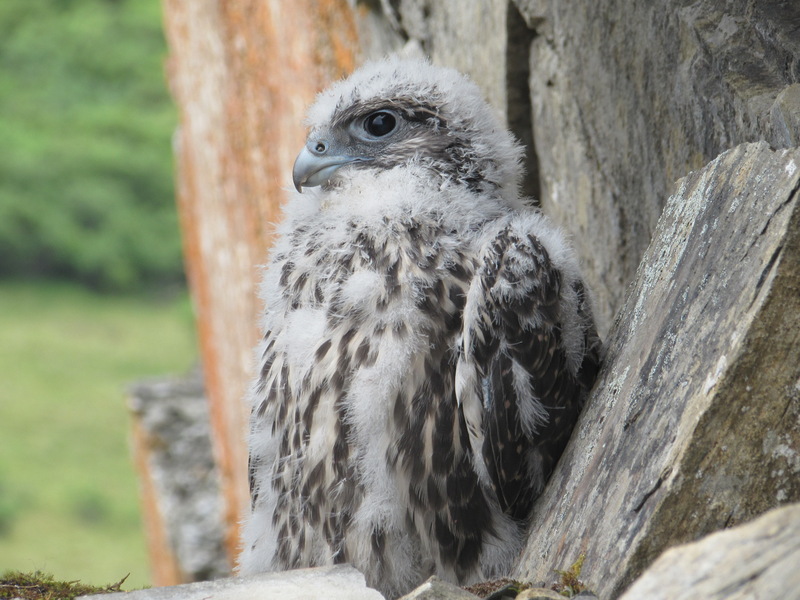 Willow and rock ptarmigan have different DNA signatures, and I plan to use DNA analyses to determine how many of each species the gyrfalcons are catching.